New York, United States - Earlier this summer as I was packing - at midnight, predictably - for a 7 am flight the next morning to a sunny seaside getaway, I realized, with (a beauty editor’s) horror, that we were dangerously low on sunscreen. In a panic, in pajamas, I dashed out to the 24-hour drug store on the corner and stood in front of the wall of Neutrogena, Coppertone and Banana Boat, reading glasses on. Options from pricier brands like La Roche-Posay, Vichy and Avène were tucked on shelves elsewhere, so I toggled back and forth between the two sections, arms full, comparing ingredients, skincare benefits, SPF levels, and price. It could have been easier. Had mini, travel-size essentials been displayed nearby, I would have spontaneously tossed a few of those in my basket for good measure, too, because - as anyone in Manhattan buying waterproof SPF 80 would be - I was going on a trip. Instead, it was money left on the table. There is both an art and a science to merchandising. It’s what leads us instinctively through a store and helps us find what we need (or didn’t realize we need), persuades us to purchase and, in the best cases, keeps us coming back. It requires studying the past while peering into the future, combining statistics and psychology with a dash of creative license. Retail is certainly in a state of flux, and, in some cases, crisis, but the beauty customer is still buying in physical stores. In 2017, 80.7 percent of global beauty sales - $375 billion worth of purchases - were made in brick-and-mortar stores, while 7.9 percent - $36.6 billion - were made online, according to Euromonitor. 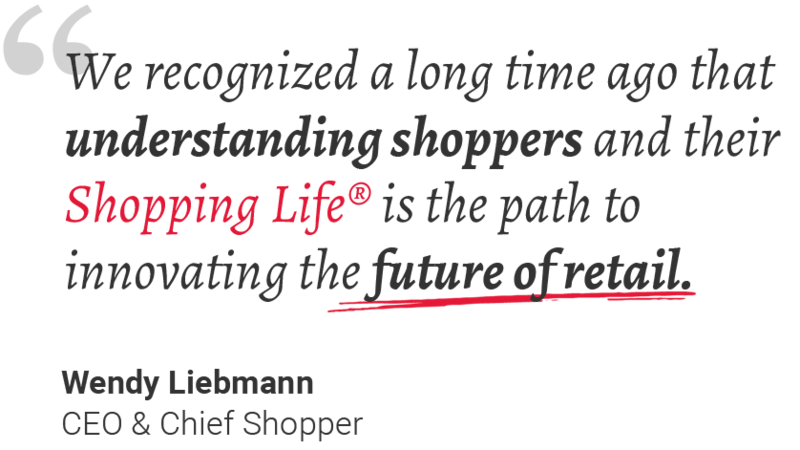 And while retail may indeed be in turmoil, “ the shopper is not,” said Wendy Liebmann, chief executive of WSL Retail Strategy, a consulting firm. “ To see the future, follow the shopper. She, or he, is the true north.”, said Libemann. Capturing and keeping today’s consumer requires understanding not only where she is headed, but how - in ways both subtle and sweeping - she has changed. Here’s what retailers need to know in order to optimize their merchandising strategies for the new consumer. It used to be that, at mass especially, the majority of buying decisions were made at the shelf. P&G referred to this as “the first moment of truth,” said Liebmann and it was estimated that at least 70 percent of decisions were made this way. Less-intimate-by-nature stores are focused on personalising service too, creating elevated experiences previously found primarily in specialty and department stores. Target has installed beauty counters and now offers consultations with brand-agnostic beauty concierges during which consumers can try products, get colour-matched and receive advice - not to mention samples. At Target, they’ve paid close attention to lighting, added feature tables and considered how impactful presentation promotes the things that bring in their consumer in the first place: “replenishment - the items you know you want every day - and discovery,” said Christina Hennington, the company’s senior vice president of Beauty and Essentials. 3. Designing in-store experiences for one type of person doesn't work. Service is the name of the game - whether you’re a drug store or a specialty store, where people tend to linger longer. But the key is knowing when to give it, and how much. “If you don't have time - if you've got the kids with you and all you want is your Sonia Kashuk lip gloss - you don't care that there's a beauty concierge in Target,” said Liebmann. 5. Recognise that no matter how brand-loyal a shopper is, she's still shopping multi-brand. Olsen attributes part of Cos Bar’s recent success - their sales are up 27 percent this year - to the fact that one salesperson learns the customer’s concerns and preferences and leads her through the store to cherry-pick a regimen. Conversely, the department store’s Achilles heel continues to be the fact that to learn about five different brands, a customer must visit five different (hard-selling, commission-based) advisors at five different counters and start her story over each time. These days, who has the time, or the inclination, to shop like that? At Target, Hennington understood that people with an affinity for products with natural ingredients wanted to shop for them in a dedicated Naturals section, separate from the traditional skin care, cosmetics and bath & body aisles. Merchandising these products within a “lifestyle section” has been a hit with virtually everything - except hair, which Hennington quickly learned customers want to see in one overarching section, regardless of ingredients and positioning. Traffic is all about considering how you want a customer to move through space, studying what she does when she gets there and making adjustments based on those learnings. When designing store layouts and imagining flow, a certain number of logistical considerations come in to play: not only do you want to create a logical roadmap - sort oflike a life-size Chutes & Ladders board where customers instinctively follow a path, encounter different experiences, and hopefully end up at the cash register feeling like winners - but you need to account for seemingly meaningless trivia like the fact that most people are right-handed. This means that people tend to look, and move, instinctively to the right (important when designing the entrance) and grab things that are on the right (important when creating prominence on a table or wall). And remember that, in 2018, most of us have a phone permanently glued to one hand. Ulta begins storytelling at the entrance - trending brands and exclusives up front - and leads the customer all the way to the back (so she is effectively traversing the entire store twice) with the lure of salon services and the accompanying hair product assortment. Cos Bar engaged Retail Next, a firm that counts its traffic, studies where people go, and well, and looks at which windows are bringing them in. “Understanding traffic patterns has been huge and we’re seeing traffic increase as a result,” said Olsen. He learned that where you put the cash register matters, as it creates the flow and closes the loop on the journey. “Looking at the data from different stores, I think the middle of the store has been our best bet to date, but I don’t think we’ve cracked it yet,” he added. The wall behind the register is often a “dead zone” - “so we have nothing there now, just a Cos Bar sign,” he said - but the area surrounding the register, populated by the “candy” - KNC lip masks, 8Greens tablets, Beautyblenders - where one impulsively adds on an extra, inexpensive item while waiting in line, is retail gold. Refreshing customer experience includes merchandising according to what’s new and what she’s interested in, now. That requires keeping up with her life (what is everyone suddenly talking, and posting, about?) and reacting with speed. Ideally, a store’s feature tables, end -caps, product and brand spotlights should be a mirror of her thoughts, questions and desires. Consider it retail ESP. It’s about laser-focusing a customer’s attention, and it works. Her team pulled out “new & notable” hero products in prestige skin (where she knows her client is looking for innovation,) and created a dry shampoo end-cap once she noticed that women weren’t washing their hair as much. As masking hit fever pitch, Arnaudo brought sheet masks together from all across the store in dedicated spaces within both prestige and mass. “We saw such a great increase on the mass side - double-digit, if not triple-digit growth - we doubled the space in the section, and the category continued to trend,” she said. When she created a single Sun section - in response to customer feedback last year - blending products from across mass and prestige, sales increased by double digits. The category has continued to surge, yielding double digit on top of double-digit growth this year, she reported. Also, tell the story of your customer. I.e., figure out her story. What is she buying, where is she going? And what else might she need? “It’s the part of the job a true merchant really loves: anticipating what makes the most sense to bring together for our guest,” said Arnaudo. The lesson is to get inside the customer’s mindset: a smart merchant will remind her of her narrative and what she needs - or plant the seed and tell her. That’s curation, but it’s also storytelling. 9. Take cues from digital - and use it to your advantage. Not only does digital drive people to stores and help them once they’re there - phone in hand, looking up a review, recalling an Instagram post they favourited or a product they bookmarked - there is much brick-and-mortar inspiration that can be taken from the online space. Liebmann likens Sephora’s “best-of” micro-curations - an end-cap touting The 5 Best Mascaras, for example - to an IRL internet search. “I Google X and get the top five options,” she said. This type of messaging is smart, too, because it reinforces Sephora’s position as experts, their authority to tell the customer what is best.